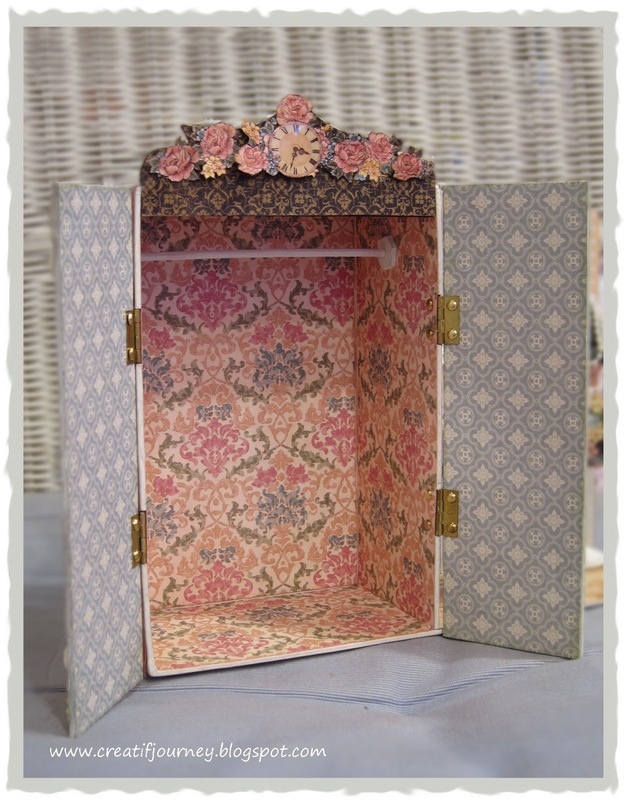 I am very much behind in my blogging, still trying very hard to post all the projects I have completed. 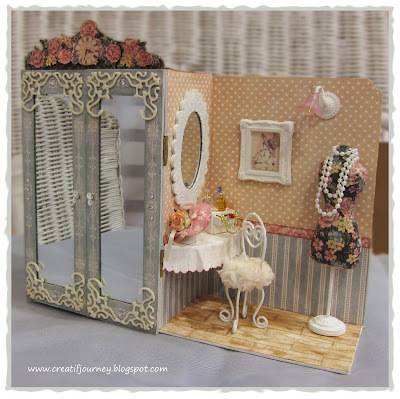 This post focuses on a lady's dressing room I made. I used the Ladies' Diary collection from Graphic 45. 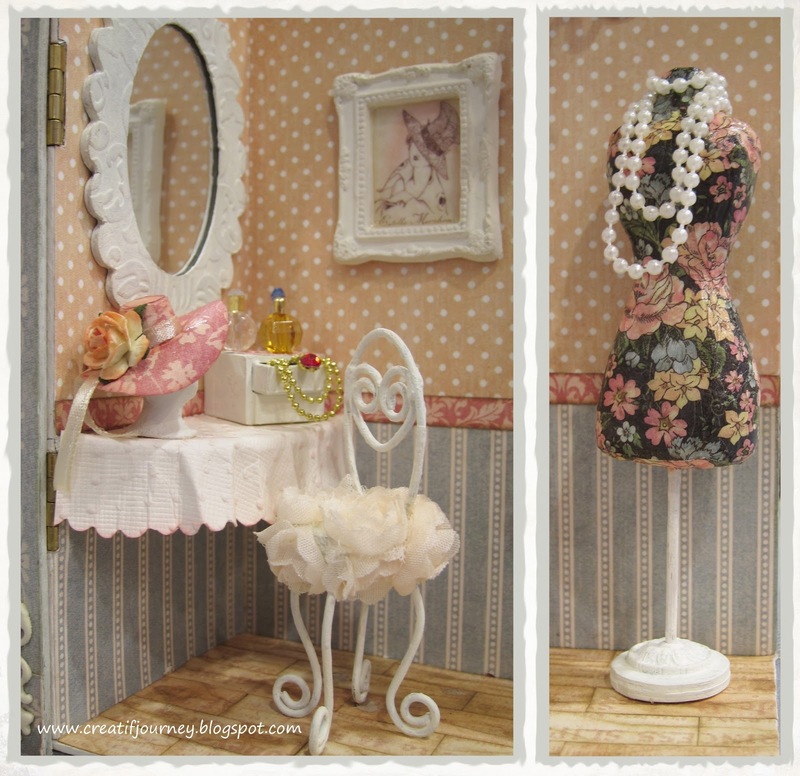 Close-up shots of the dressing table and dress form. I made the dress form from air dry clay and covered it with the pattern paper. As for the album, I am still debating on whether to use tags or made a bound album to be housed in the closet. And before I forget, the pink wall light is actually a working LED light. 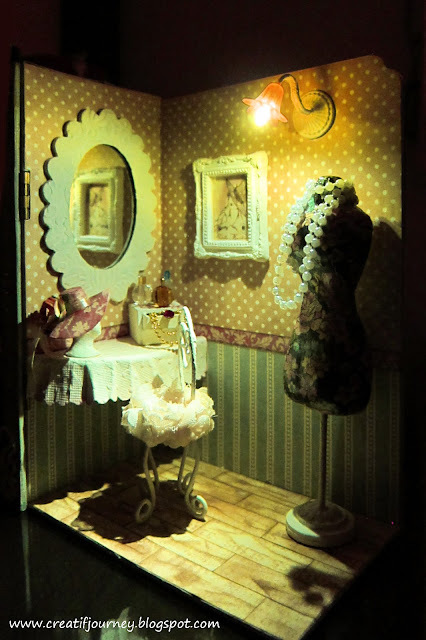 This is a shot of the boudoir at night. Thank you very much for stopping.